A 20 year old De La Salle University student broke silence and admitted being the new beau of actress-comedian Ai-Ai de las Alas who would soon turn 50 on November 11. This news garnered different views from the netizens on different social medias. Last Monday, September 15, the college student, Gerald Sibayan, admitted his romantic relationship with Ai-Ai in pep.ph, a an entertainment news site. Earlier, Sunday, Ai-Ai admitted that her new boyfriend is younger than her but did not elaborate nor divulge his name. Ai- Ai’s new sweetheart is a star badminton player and is taking up Sports Management in DLSU. The university’s badminton team is managed by Ai-Ai. 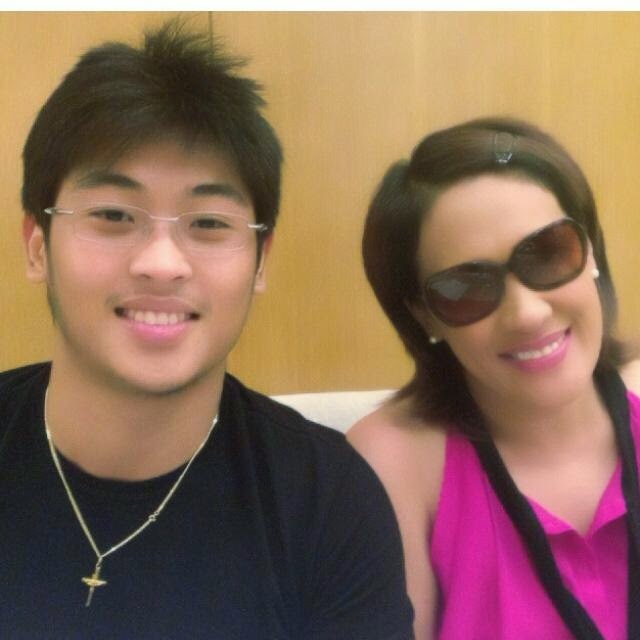 Sibayan, a friend and schoolmate of Ai- Ai’s son Sancho, uploaded a photo of him beside Ai- Ai smiling together as his profile pic on his Facebook account. It was August 27 when he first uploaded a photo of him and Ai-Ai but the photo did not bear any caption. Ai- Ai’s love life had been controversial in the world of showbiz. Last year, her six weeks of marriage had also created a buzz when a supposed secret marriage was made public and then ended so soon when Ai- ai admitted that it did not work out. In January, their divorce had been legally finalized he Las Vegas court. Ai- Ai was first married with singer Miguel Vera, Sancho’s father, but their marriage lost its validity when it was discovered that he had been priorly married with another woman.